This topic contains 1 reply, has 2 voices, and was last updated by Sean Conklin 10 years, 11 months ago. hey guys at IG. i just want to say that the new lessons that have been put up on the site ROCK! 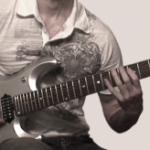 i love the chords and arpeggio lessons. i cant wait to see more. keep up the great work! Hey, thanks so much man! We really appreciate the encouraging feedback. Glad you’re enjoying the lessons so much.